Professional saw-bench with belt conveyor and hard metal sawblade. The machine attaches to the 3-point linkage of any agricultural tractor and operates from its rear powertake- off drive by means of a cardan shaft. Available also as a combination version (704 EZ) equipped with both PTO and E-motor drive and recommended for stationary use. Logs that are cut automatically drop onto a discharge hopper and from there on a conveyor belt that leads them to a nearby container or truck. No more messy and nasty picking of the logs and site clearing! 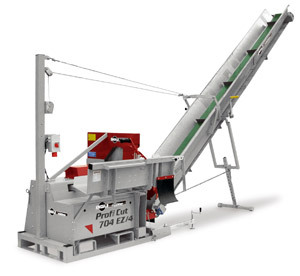 A machine specially conceived for those who deal in large firewood productions. 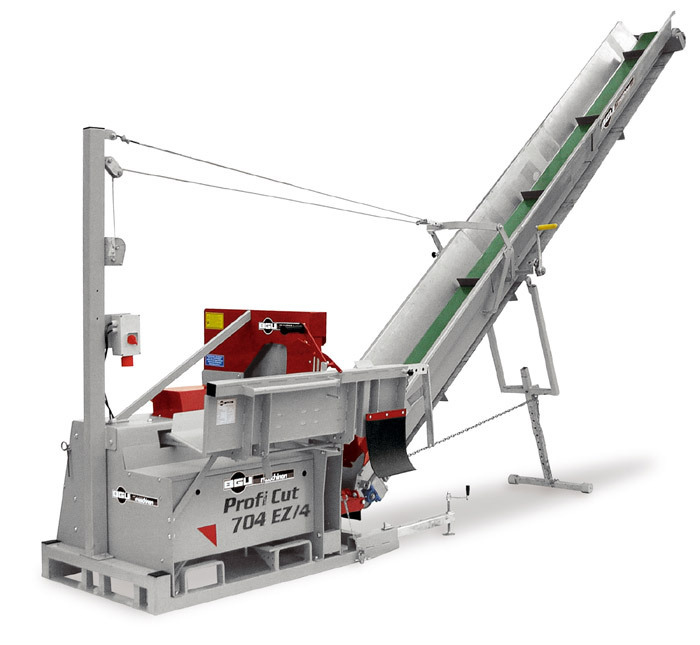 The machine is capable to handle and process wood in full cord length up to approximately 1 m.